Institut Esthederm Adaptasun Milky Spray for Normal Sun is a complete sun protection system that uses a patented ingredient called Adaptasun. This trains the skin to fortify itself at a cellular level, fighting free radical damage and stimulating the production and distribution of melanin which leads to a faster, longer lasting tan. UV Incellium works as an external protector filtering the harmful, ageing UVA and UVB rays. This quick-drying spray sun block is designed for normal skin that rarely burns and ensures good protection under normal to strong sun exposure, e.g. European sun in summer. Esthederm has a completely original approach to protecting skin, letting through just the right amount of sun, it retrains your skin to defend itself, tanning quickly. It doesn't use the SPF rating system, instead you choose the product by your skin type and the strength of sun from which you wish to protect yourself. Spray evenly all over your body, 20 minutes before exposure. Renew application every 2 hours. 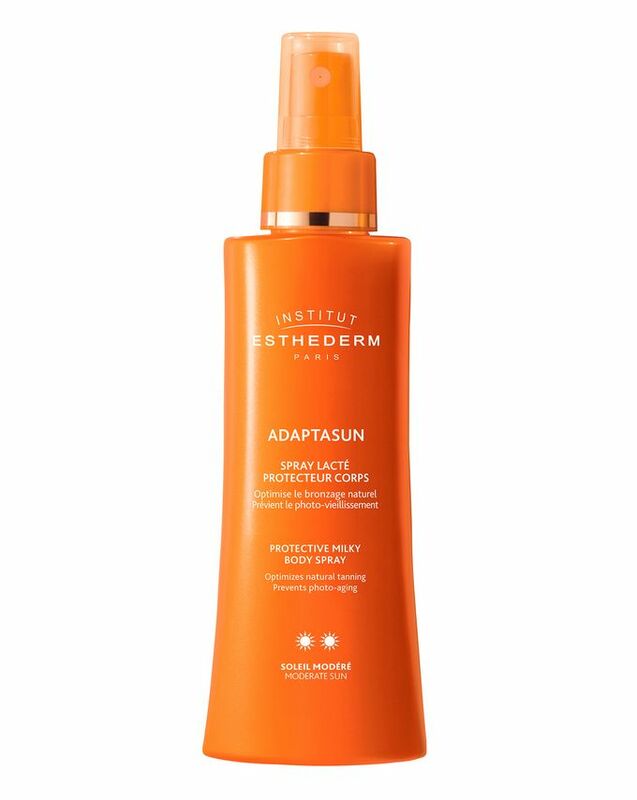 With every product in the ADAPTASUN range it is a good idea to start using the product on your skin for a few days before you go into the sun to give it a chance to work its magic, training your skin to react better to the sun. This will also make your tan develop faster! Darkest tan in the shortest time!!! I only had one week to turn myself into a darker shade of white. I did not expect to get a proper tan!! It doesn't say the SPF on the bottle but it must be great because I didn't burn and I wasn't afraid to step into the sun at noon without covering my shoulders. As for the spray formula...I don't think there is much difference with the lotion. Save yourself £2.